Christopher D. Frith has an international reputation as an eminent scholar and pioneer in the fields of schizophrenia, consciousness, and social cognition. A specially written introduction gives an overview of his career and contextualises the selection in relation to changes in the field during this time. This collection reflects the various directions of Frith’s work, which has become increasingly philosophically oriented throughout his career, and enables the reader to trace major developments in these areas over the last forty years. 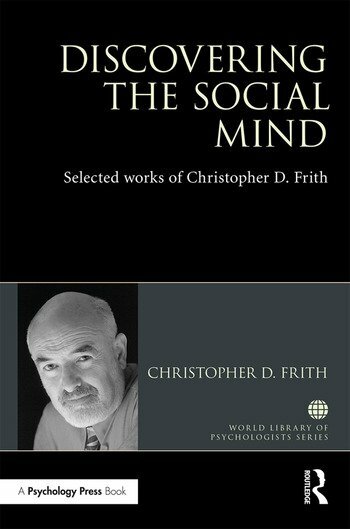 Frith has had his work nominated for the Royal Society Science Book Award and, in 2009, was awarded the Fyssen Foundation Prize for his work on neuropsychology. He has also been awarded several prestigious prizes for his collaborative work with Uta Frith. This book is an essential read for those students and researchers engaged in the fields of social cognition, cognitive psychology and consciousness studies. Christopher D. Frith is a Psychologist and Professor Emeritus at the Wellcome Trust Centre for Neuroimaging at University College London, UK.